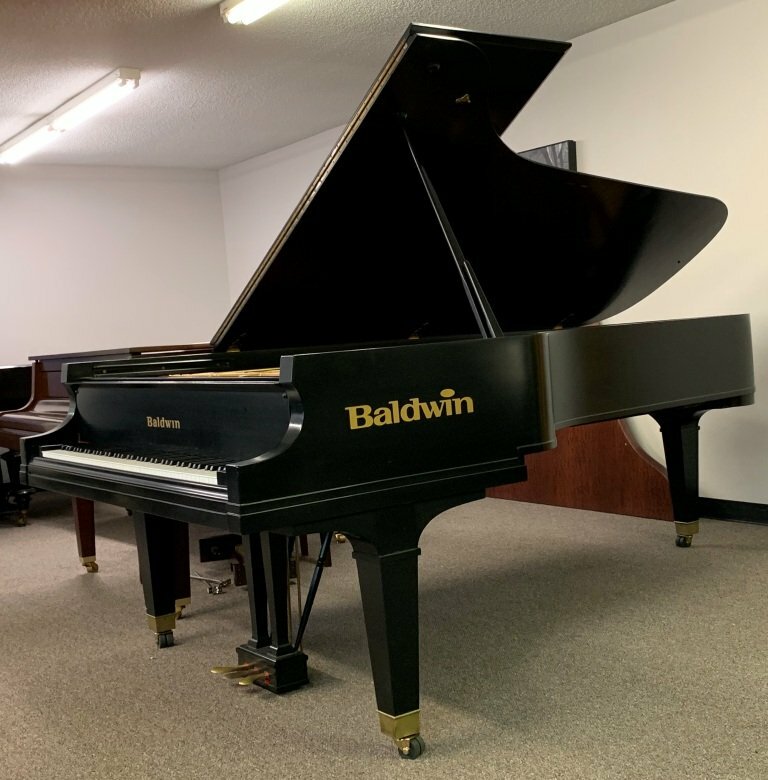 Refinished and re-strung satin ebony Baldwin Model D-6, 9' Concert grand piano, s/n 73002 (ca. 1934). Action rebuild in 2014 with new Abel hammers and new shanks & flanges. Keyboard weigh-off using the Stanwood smooth Strike Weight curve protocol for hammers.